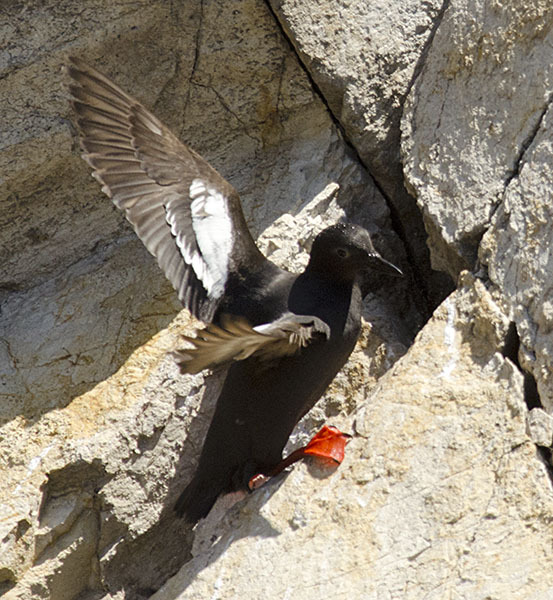 Pigeon Guillemot #32 - ...while this Pigeon Guillemot feeds a young bird down in that hole in the rocks. 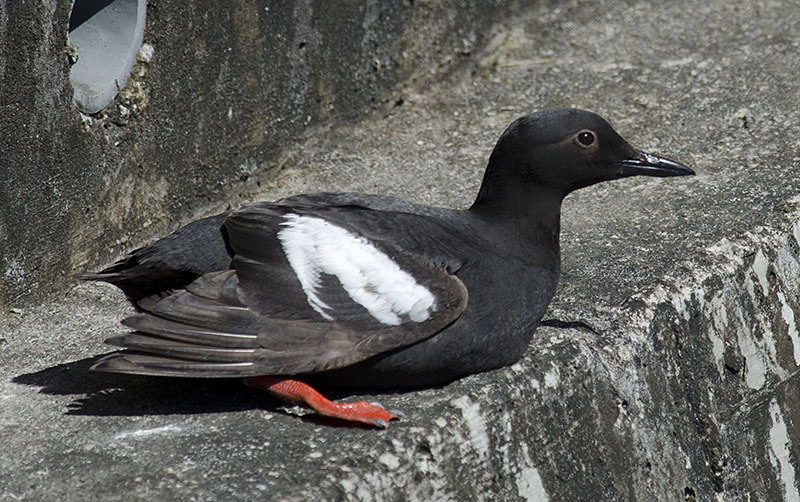 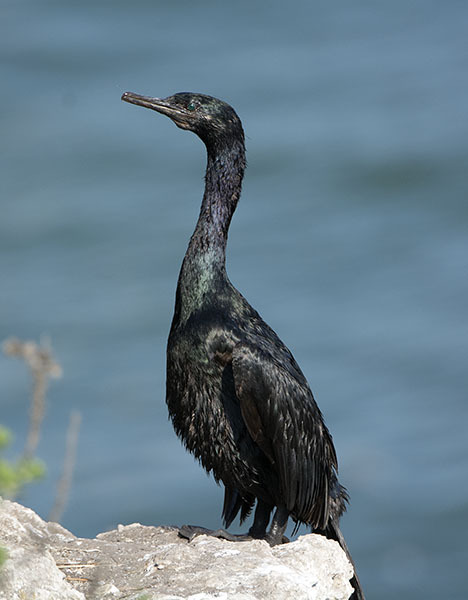 Pigeon Guillemot #36 - This one rests on a ledge of the retaining seawall. 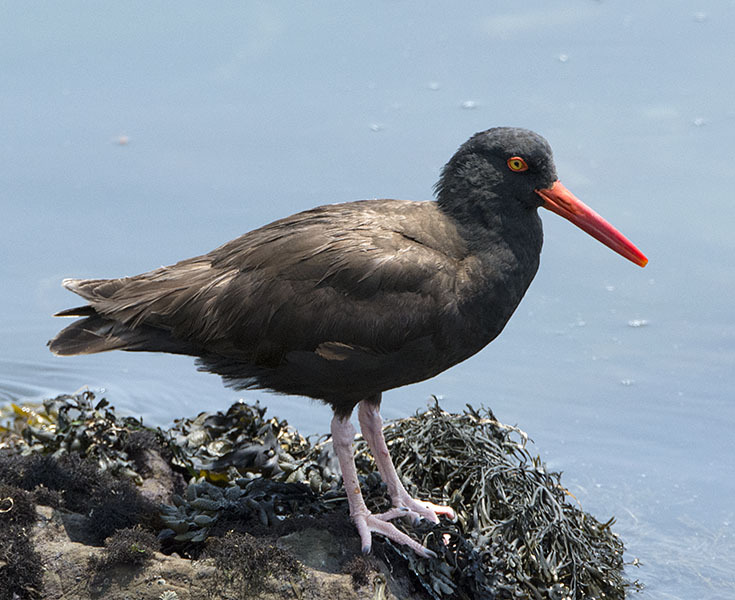 Black Oystercatcher #2 - The rocks along the water are ideal for Black Oystercatcher. 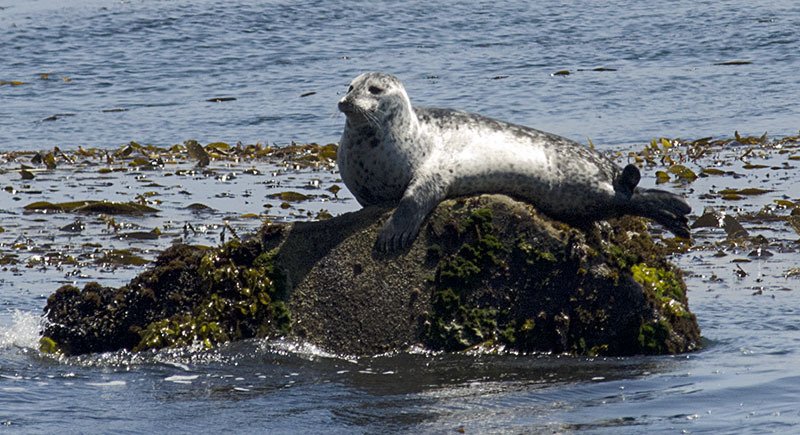 Harbor Seal #2 - Other animals utilize the rocks...here a Harbor Seal lounges a little way offshore. 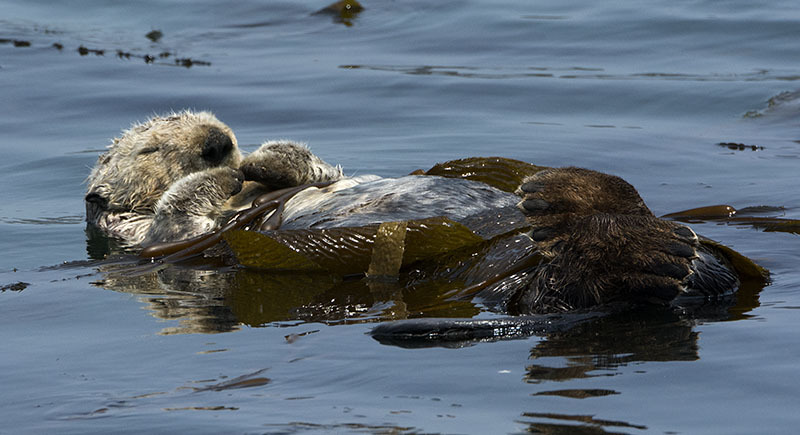 Sea Otter #4 - ...and here an adult sleeps, secured with a safety line of kelp wrapped around its stomach.